Alpine flair, excellent service, wellness area, guided hikes & countless other services for active guests – ideal for hiking holidays in the heart of the Dolomites. 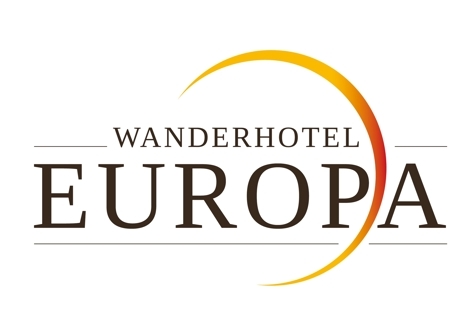 Welcome to Vitalpina Wanderhotel Europa**** in Seis am Schlern! 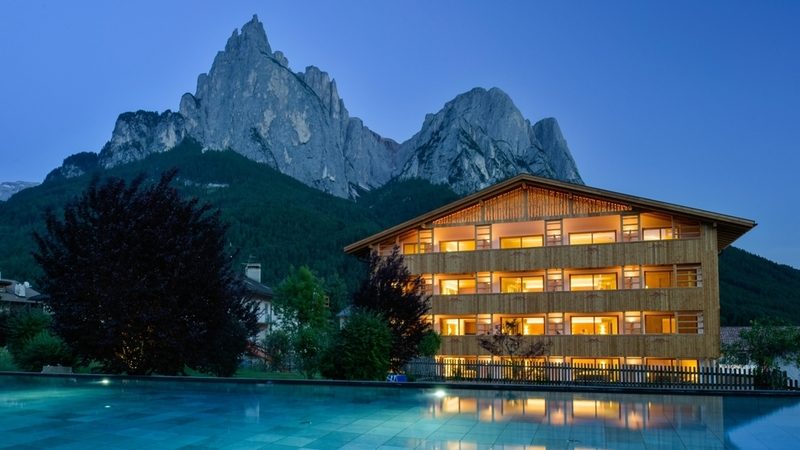 Vitalpina Wanderhotel Europa**** welcomes its guests at the foot of the famous Seiser Alm and of Schlern massif. The modern alpine flair, the fantastic mountain view as well as the hearty South Tyrolean hospitality guarantee a wonderful well-being ambiance. For our guests, we offer lovingly furnished rooms and suites that are furnished with much wood and in the alpine style. All of them have a bathroom with shower, bidet and WC, free WLAN, satellite TV, a drying system for hiking clothes, a rucksack for rental, a hiking map and much more. At your arrival, you are offered fresh fruit and delicacies from our inhouse confectionery and cafeteria with sun terrace. A wellness bag is available too. In the morning, we serve a heavenly breakfast buffet with local products and delicacies for all tastes. At dinner, you will enjoy our Alpine-Mediterranean 5-course menu of your choice as well as fresh salads from the buffet. On request, we will be pleased to prepare dietary and light meals, gluten and lactose free as well as vegetarian dishes. The best wines and spirits from the region complete your culinary experience the best way possible. Relax in the wellness world with saltwater outdoor pool, indoor pool, various saunas, Kneipp parcours and relaxation room and enjoy soothing treatments and massages with high-quality beauty products from South Tyrol. As well, we offer a sunbathing lawn, a playroom for kids and much more. The surroundings of Vitalpina Wanderhotel Europa in Seis can best be discovered with the “Seiser Alm Live” guest card. Included in the price are also guide hikes, a hiking shop, free equipment and MTB rental, a hiking library, individual tips and countless other services. Cozy panoramic room "Alpe di Siusi“ alpine style” 33 m². Sleeping system furnished in healthy stone pine (helps to get a deep sleep, cleans the atmosphere of the room and equalizes the vegetative nerve system), big wardrobe, wooden floor. The room has beautiful leather lounge chairs, bathroom with WC/bidet, large shower, hairdryer, vanity mirror, 40-inch flat screen TV with satellite reception, radio. Hikers wardrobe provided with multi-functional 28-liter hiking backpack for free rental and a 1:25,000 hiking map of the area. private balcony with wonderful view to Alpe di Siusi and the Dolomites, UNESCO World Heritage! Perfect per two person. Cozy Suite “alpine style” 45 m², sleeping system furnished in healthy stone pine (helps to get a deep sleep, cleans the atmosphere of the room and equalizes the vegetative nerve system), sleeping area and sitting lounge with additional leather sofa bed and big wardrobe, wooden floor, private balcony with wonderful view of the quiet garden and the SPA area. 40-inch Sat-TV, bathroom with WC, shower, hairdryer, vanity mirror. Hikers wardrobe provided with multi-functional 28-liter hiking backpack and a 1:25,000 hiking map of the area. Perfect for two adults and up to three kids. Cozy one-bed room “alpine style” 17 m², furnished in healthy stone pine (helps to get a deep sleep, cleans the atmosphere of the room and equalizes the vegetative nerve system), wooden floor, private balcony with excellent views of the quiet garden and the picturesque Saint Mary's Church from the 15th century. The room has an additional sofa or lounge chair, large bathroom with WC, shower or tub, hairdryer, vanity mirror, 40-inch flat screen TV with satellite reception, radio. Hikers wardrobe provided with multi-functional 28-liter hiking backpack and a 1:25,000 hiking map of the area. Cozy panoramic Suite “alpine style” 40 m², sleeping system furnished in healthy stone pine (helps to get a deep sleep, cleans the atmosphere of the room and equalizes the vegetative nerve system). Wooden floor, 40-inch Sat-TV, bathroom with WC/bidet, shower, hairdryer, vanity mirror. Hikers wardrobe provided with multi-functional 28-liter hiking backpack and a 1:25,000 hiking map of the area. Private balcony to the south side with wonderful view of the quiet garden and the SPA area. Perfect for two to four person. Cozy panoramic Suite “alpine style” 40 m², sleeping system furnished in healthy stone pine (helps to get a deep sleep, cleans the atmosphere of the room and equalizes the vegetative nerve system). Wooden floor, 40-inch Sat-TV, bathroom with WC/bidet, shower, hairdryer, vanity mirror. Hikers wardrobe provided with multi-functional 28-liter hiking backpack and a 1:25,000 hiking map of the area. Private balcony to the south side with wonderful view of the quiet garden and the SPA area. Perfect for two person. Miniclub, Babyphone, Vegetarian food , Home made products, Dietary food, Food for people with food allergies, Light diet, Diabetic food, Bike rental, Gratis Skibus, Sunshade, Deckchair, Ski depot in the house, Ski depot outside the house, Ski pass service on site, Hiking Guide, Evening entertainment, Journals at disposal, Multilingual receptionists by day, Cash maschine, Video surveillance, Pets allowed, laundry service, Snow boot dryer, Shoe shine machine, Room service, Shuttle service, Environment award, Dog-friendly accommodation, Bike deposit, Family-friendly, Children's meals, Child-friendly buffet, Packed lunches, Secured storage spaces for bikes and motorbikes, Express check in/check out, Baggage storage, Int he village centre, Quiet position, above 1000 m a.s.l.